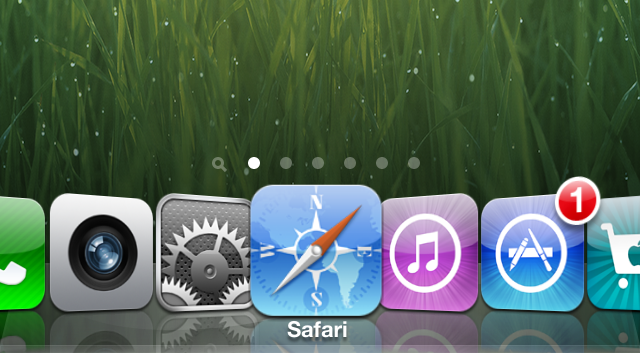 Overflow is a new Cydia tweak that adds a very nice Coverflow animation to your dock. This tweak definitely adds some style to the dock and is most effective when used with Infinidock, another Cydia tweak that is available in the Cydia store. The reason OverFlow is most effective when used with Infinidock is because OverFlow only adds the effect to the icons in your dock, while Infinidock allows you to scroll though your apps in the dock and you get a nice animation for each app that passes through the middle. It is better explained in the video below. Overflow only has an enable/disable toggle in the main settings application and is fully compatible with Infinidock. You can find Overflow in Cydia for $0.99 and it works on the iPhone, iPad, and the iPod touch.